METEOCONTROL prove a complete range of product for monitoring and control of solar photovoltaic systems. With data loggers and safer'Sun and VCOM portals, Meteocontrol offers a user-friendly and modern software solution for all performance ranges. 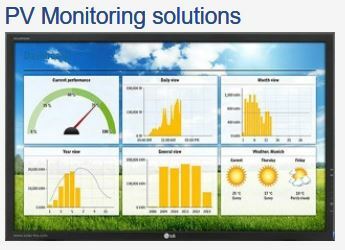 Meteocontrol guarantee compatible and forward looking monitoring solutions thanks to continuous development of products. In addition to recording and visualizing system data, we also fulfill the requirements for grid feed-in management and remote control of PV systems. Individually configurable metrological control cabinets for centralized recording of all your PV system data round our portfolio off.